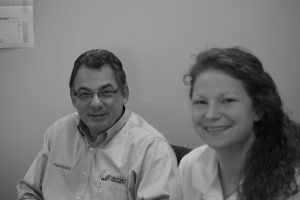 In our four-part series Getting To Know NewGen Restores, we sat down with Kent and Liz Ravaioli – the people behind NewGen Restores – to discuss how we’re different from other cleaning companies in North and South Carolina; even down to the smallest of details you might overlook. But now it’s time to get even more personal. 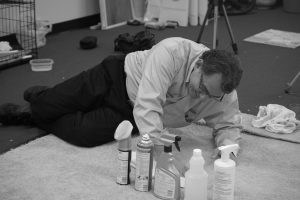 In this exclusive interview, we sat down with Kent – NewGen Restores’ founder and beating heart – to discuss life, family and his take on the carpet cleaning industry. I grew up in New Jersey in a family of six. My father used to do floor care, so you could say I was exposed to the industry from a very young age. In fact, I picked up a lot of knowledge and tricks of the trade just through watching him work. He was also a great inspiration. He always stressed the value of hard work, which is something that has stuck with me my whole life. 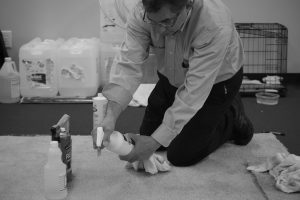 How did you get your start in carpet cleaning? I’ve worked in customer service my whole adult life, but floor care wasn’t actually my first career. Oh! So what was your first job? Well, I worked at the New York stock exchange for twenty-seven years. I had a love/hate relationship with it, really. I enjoyed the excitement and the pressure, but at the same time it was also very stressful. Most of all, though, I found that I loved building relationships with my clients and helping them out. You meet people from all walks of life and you really need to respect their outlook, where they’re coming from and what they’re trying to accomplish. This taught me that you should always do what’s right for the customer. A satisfied customer is the best customer you could possibly have. How did NewGen Restores come about? 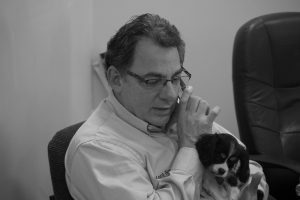 After I left the stock exchange, I partnered with a friend to enter the janitorial industry. We were responsible for 5 million square feet of medical space in Charlotte! I also got to restoring a 200 year old house from the ground up, and I loved it. So I got all my master certifications in carpet cleaning, upholstery care and so on. What do you love doing when you’re not at the office? 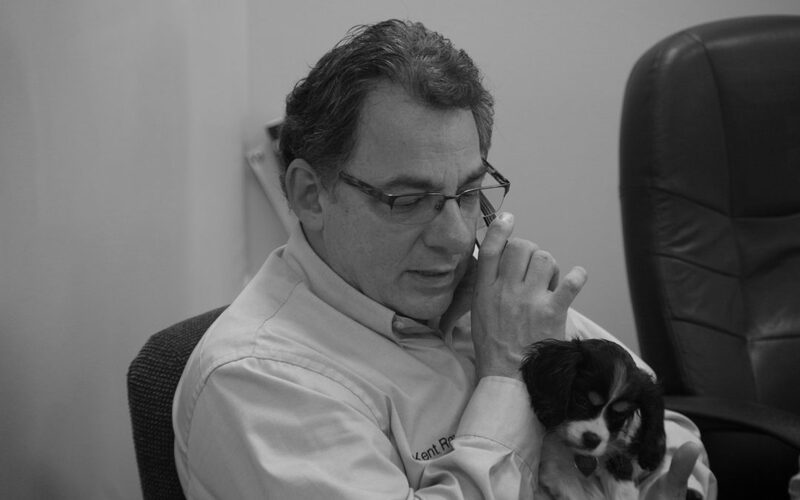 I love being with clients and helping them make their home or office a better environment. In a way, it’s almost immediate gratification, because I get to see how a job came out right away. I especially enjoy doing vinyl tile cleaning, because the difference can be really night and day. But what about YOU? What do you do in your spare time? My first dog was a stray. I left some milk out for it one time and it was there waiting for me six hours later, so I talked my mother into keeping him. I’ve owned dogs ever since. 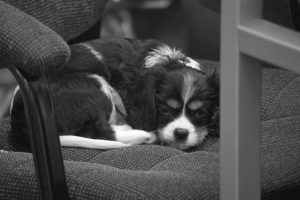 These days I have three cavalier king charles spaniels. I love their disposition, even though they can get a little stubborn. I try to bowl once a week; and I play the odd bit of golf, even though I stink. I used to play football a lot too, but these days I think it’s better for my health if I stick to watching it on TV. Do you enjoy working with your daughter? Unfortunately, one of my sons lives in Florida and I don’t get to see him that much; so working with my daughter is very cool. I get to see her everyday and be a big part of her life. My other son is also involved in the business, which is great. What’s your take on the carpet cleaning industry? I think the carpet cleaning industry is broken, mainly because of the price war that’s going on. I’m seeing a lot of companies offering rock bottom prices to undercut the competition. This might sound like good news for customers, but it really isn’t. At the prices some companies offer, I know for a fact it’s simply impossible to get the right labor and buy the right products and professional-grade equipment to do a proper job. What they’re lowering isn’t the price, but the standard. They just have to be cutting corners to be able to offer those prices. 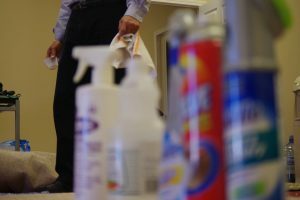 What’s your advice to customers considering a cheap cleaning company? There’s a real technique to finishing floors properly. Do it wrong and it will look worse or get ruined completely. A cleaning professional has to understand the specific needs of the space, use the proper procedures and select the right chemicals, tools and equipment. Any type of flooring can last a lifetime, but only if it’s properly cared for by someone who knows what they’re doing. Carpets, for example, are made of fibers; and they need to be treated properly in a manner that’s appropriate for the type of fiber. Otherwise you’re just throwing money away. You may save money today, but you’ll just end up spending more money in the long run. Now that you know a bit more about him, why not let Kent and NewGen Restores give you the full customer service treatment and a cleaner, brighter space? Have Floors That Need Cleaned, Restored or Installed? Fill out the form below for a quote!